A free to play browser MMO RPG, SAO's Legend is a browser-based title based on the anime Sword Art Online. The game follows traditional Asian style RPG elements with VIP systems, Battle Power, auto-AFK combat and more. 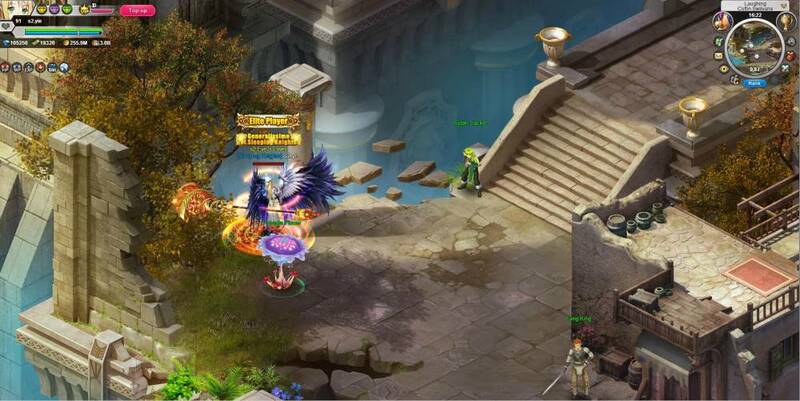 The game focuses on a story driven narrative with PVE and PVP features for players to level their characters. In the year 2022 a new technology known as the NerveGear has been developed, a helmet that attaches directly to its users brain and transports them into a brand new virtual reality MMORPG knows as “Sword Art Online”. What users didn't know upon entering is that unless they were able to reach the 100th level of the games' castle, they would be unable to logout of the game and be trapped forever, or until they died in game, which would kill their real world selves. You are one such trapped player. At its core SAO's Legend is a fairly standard RPG with heavy Asian influences, from the theme itself based off an anime series, there are numerous in game features that are familiar to the genre. In the game players control a single character class, their main purposes are unlocking new content to play through and enjoy, advancing the storyline, and trying to become as powerful as possible to compete against other rival players. By advancing through the games' content that grows ever more challenging, players will earn XP to level up, acquire items to make themselves more powerful, and currency to equip, upgrade and train themselves. Players control one of four different characters, each with their own particular class that gives them different skills and combat styles; players have no customization over the look of the character and instead are playing through a structured linear story with their character being one of the main protagonists. Characters have their own stats that can be improved with numerous items and gear, which in turn will increase their Battle Rating, a numerical indicator of just how powerful the character is when compared to their peers. There are a variety of ways to improve and upgrade your character in the game, most obviously is simply gaining XP to level up and increase your base stats, equipping gear is another important option where players have 12 equipment slots to wear various items of gear that will also give them major stat boosts. 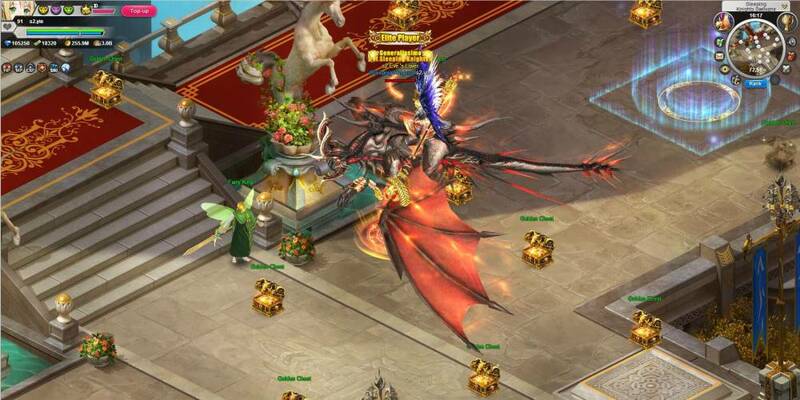 Wearable wings and earned mounts are two other main items that can be unlocked and each of these, as with gear, can be upgraded in various ways through multiple systems. Another way to upgrade the main character is to meet and acquire new companions in the form of Girl Friends, these cute female characters are the known faces from the anime show and players can take them as their NPC girlfriend and have them follow them around the world helping them in combat. Whilst the game has action RPG elements with players being able to move around the world and various dungeon instances controlling their character and attacking enemies with their different skills, the game also fully supports an AFK-Auto combat system. With this system players will automatically walk around the world, heading to the location they need to go to for their quest, kill the required number of creatures whilst using skills and healing themselves, and then hand in the quest, meaning players do not have to be hands on with the game if they don't wish to be. There are lots of events and game features available that focus on PVE and PVP, the ability to solo instance or group with players for a Team instance and take down great Boss challenges. Players can head into the Arena and fight in 1 on 1 duels to earn points, ranks and ultimately prizes.